This Nature Conservancy property in the Huachuca Mountains is a great place to look for Painted Redstart, Sulphur-bellied Flycatcher, Arizona Woodpecker, and Elegant Trogon. 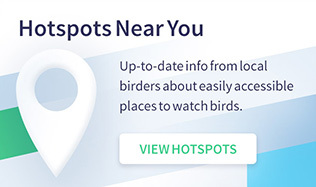 Birders have long made pilgrimages to the southernmost parts of the American Southwest in search of birds at the northernmost edges of their ranges. In particular, southeastern Arizona is situated at the convergence of the Mexican Sierra Madre and the Sonoran and Chihuahuan deserts. Because of its unique location, the area has remarkable biological diversity. Many southwestern specialty bird species that have specific habitat and elevation requirements can be found at the renowned Ramsey Canyon Preserve. The canyon is in the Huachuca Mountains, part of the “Sky Islands” — isolated mountains surrounded by lowlands — just north of Mexico. A spring-fed creek sustains a riparian area that hosts Painted Redstart, Sulphur-bellied Flycatcher, Bridled Titmouse, Arizona Woodpecker, Mexican Jay, and Rivoli’s Hummingbird, among others. The main Hamburg Trail connects with others in the Miller Creek Wilderness of Coronado National Forest, where you may catch a glimpse of the sought-after Elegant Trogon. Although trogons can also be seen within the preserve, they have eluded me. But the other birds more than made up for it, and I have a good reason to return. Jason A. Crotty is an attorney from Portland, Oregon. He also wrote about El Yunque National Forest in Puerto Rico, Hotspot Near You No. 247, and Virgin Islands National Park, No. 255. 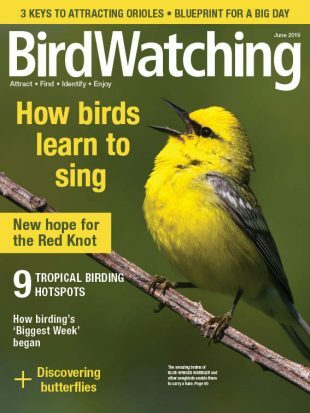 For BirdWatchingDaily.com, he has written about warblers that winter in Puerto Rico, the designation of Elfin-woods Warbler as endangered, bird populations in western Great Lakes forests, what the greatly expanded Papahanaumokuakea Marine National Monument means for birds, and plans to re-introduce condors to the Pacific Northwest. Ramsey Canyon Preserve is located in a stream-carved gorge within Coronado National Forest near Sierra Vista. From Tucson, take I-10 to Hwy. 90, head south to Sierra Vista, and then go south on Hwy. 92. Turn right on Ramsey Canyon Rd. and drive about 4 miles to the preserve, at the end of the road. Riparian canyon covering approximately 380 acres. Trails, starting at 5,500 feet in elevation, are steep and have significant elevation gains. Hummingbird-feeding stations at visitor center are wheelchair-accessible but trails are not. Approximately 200 species. Year-round: Rivoli’s Hummingbird, Acorn and Arizona Woodpeckers, Hutton’s Vireo, Mexican Jay, Bridled Titmouse, Canyon Wren, Painted Redstart. Summer: White-winged Dove, Whiskered Screech-Owl, Blue-throated, Black-chinned, Broad-tailed, Broad-billed, Violet-crowned, and White-eared Hummingbirds, Elegant Trogon, Tufted Flycatcher, Greater Pewee, Cordilleran, Dusky-capped, and Sulphur-bellied Flycatchers, Plumbeous Vireo, Grace’s and Red-faced Warblers, Hepatic and Flame-colored Tanagers. Nature center, bookstore, restrooms, trails, hummingbird-feeding stations. Nature Conservancy preserve. March through October: 8-5; November through February: 9-4. Closed Tuesdays and Wednesdays. Fees: $6 per person; Nature Conservancy members are $3 per person. During summer, go in early morning and bring plenty of water. Limited parking is on first-come, first-served basis. Visitors may encounter border-patrol agents and border-enforcement activity. Ramsey Canyon Preserve, (520) 378-2785. 5255 E. Spring Rd. The feeders and grounds are excellent for more than a dozen hummingbird species, including Lucifer Hummingbird during summer. This nearby canyon provides access to the upper reaches of the Huachuca Mountains for higher-elevation birds such as Buff-breasted Flycatcher and Red-faced and Grace’s Warblers.